Christian Bale (克里斯蒂安·贝尔), the Hollywood star known for his roles as Batman and Empire of the Sun, set in China, was in China to promote his Chinese film, The Flowers of War (金陵十三钗) directed by Zhang Yimou (张艺谋). After the promotion ended, the star tried visiting one of China’s most famous human rights activists, Chen Guangcheng (陈光诚) in Linfen, Shandong. On Sina microblog and Baidu, the premier search engine in China, a search for the Batman star’s name turns up some curious results. On Baidu, the first suggested searches to appear include “Christian Bale CNN,” “Christian Bale beaten up” and “Christian Bale Chen Guangchen.” If you clicked on any of these suggestions, the pages you are led to include Chinese translations of foreign news articles and a lot of bbs, or forum entries. On Sina microblog, the suggested search terms for the actor involved his new film, The Flowers of War, but also the same references to blind lawyer. If you searched for #Bale Beaten# on microblog there are 314 results, including those by verified people and media people. I found the relevant reports from CNN, and it’s obvious that CNN used the word “pushing” which was translated into “beaten” in Chinese, they’re really unafraid of making a mountain out of a molehill. 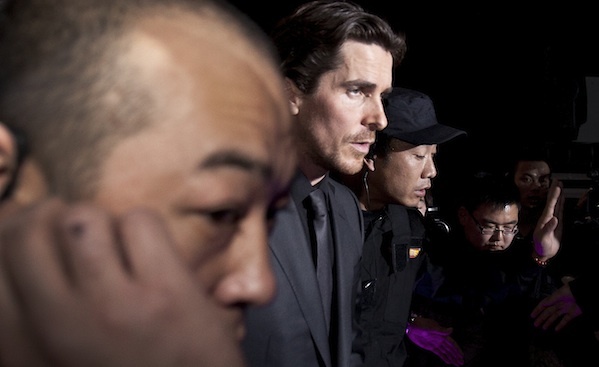 I just discovered that the actor from The Flowers of War, Christian Bale, was beaten up when the went to see Chen in Linfen in Shandong [and posted about it], then all of a sudden a bunch of people sprang out and commented and messaged me to say it was all a lie, but it’s on the CNN website. If you don’t believe me then go see for yourself: here and a video here. What’s happened to Christian Bale? Pictures of Bale being beaten is public // @FangShaobai: Is this really real?????? I heard that the actor who plays Batman was punched when tried to see Chen Guangchen. The cadres of the CPC are indeed awesome. Both Batman and that blind man saw the light in the dark. I will buy a ticket to see The Flowers of War purely because of Bale’s attention to individuals who have been unfairly treated. I hadn’t wanted to contribute to the box office takings.